Fructose is a simple sugar found in fruits and vegetables, and makes up around 50 percent of today’s table sugar. 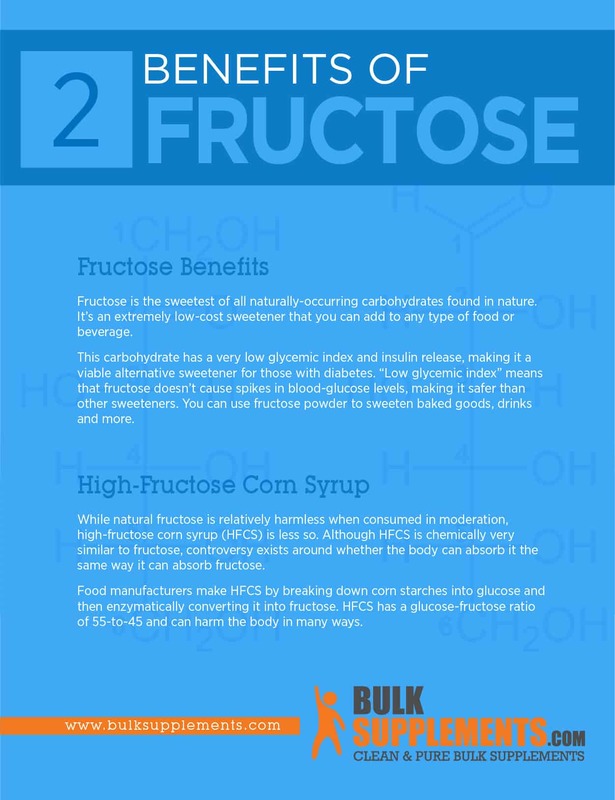 Fructose is a monosaccharide, the purest form of a carbohydrate. 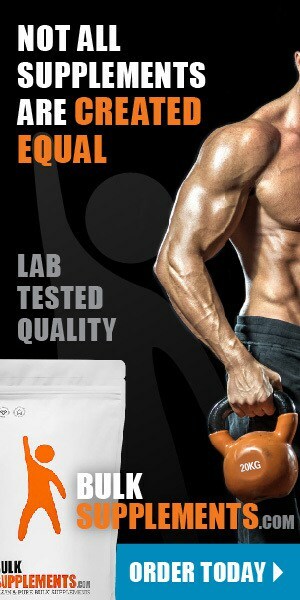 Only one sugar group comprises monosaccharides, and the body cannot break it down any further. Fructose is part of the three dietary monosaccharides–glucose and galactose are the other two. Your body absorbs these monosaccharides directly into your bloodstream during digestion. Before the low-fat diet trend took America by storm in the 70s and 80s, very few Americans consumed fructose. The U.S. Department of Health and Human Services reports that two hundred years ago, the average American consumed fewer than three pounds of sugar in an entire year. Today, that number is closer to 152 pounds per year (x). Fruits and vegetables contain the only amounts of natural fructose, and even they provide meager amounts of it. Your liver metabolizes fructose, turning it into triglycerides–a type of fat (x). When triglycerides build up in the liver, they can cause serious damage. Triglycerides that make it into the bloodstream also contribute to the buildup of fatty plaque inside arteries, slowing down the flow of oxygen-rich blood throughout the body and leading to heart disease. Only the liver is able to metabolize fructose, but your liver doesn’t convert it into energy. This causes a harmful rise in blood-sugar levels. 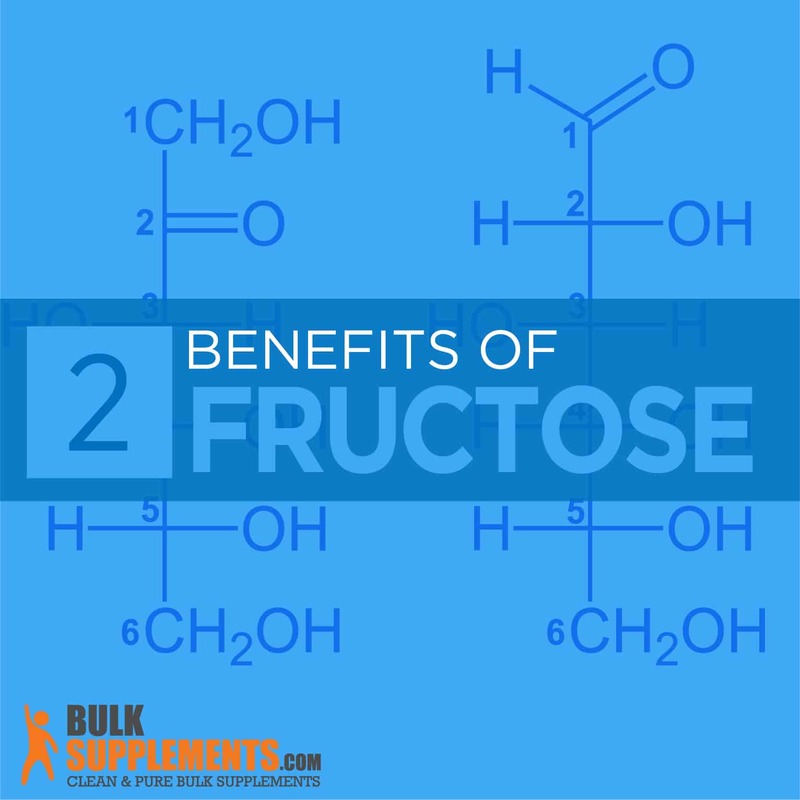 Fructose is the sweetest of all naturally-occurring carbohydrates found in nature. It’s an extremely low-cost sweetener that you can add to any type of food or beverage. This carbohydrate has a very low glycemic index and insulin release, making it a viable alternative sweetener for those with diabetes. “Low glycemic index” means that fructose doesn’t cause spikes in blood-glucose levels, making it safer than other sweeteners. You can use fructose powder to sweeten baked goods, drinks and more. While natural fructose is relatively harmless when consumed in moderation, high-fructose corn syrup (HFCS) is less so. Although HFCS is chemically very similar to fructose, controversy exists around whether the body can absorb it the same way it can absorb fructose. Food manufacturers make HFCS by breaking down corn starches into glucose and then enzymatically converting it into fructose. HFCS has a glucose-fructose ratio of 55-to-45 and can harm the body in many ways. The body absorbs high-fructose corn syrup into the bloodstream very quickly. A fast spike in the blood insulin levels follows, which causes your liver to produce excessive amounts of fats (x). These combined reactions can increase appetite and weight gain. Research suggests your gut needs to use more energy to absorb HFCS. To do so, your gut steals from the energy source it needs to maintain the integrity of its intestinal lining (x)﻿. HFCS can also create holes in the intestinal lining. These holes allow the byproducts of toxic gut bacteria and pieces of food to enter the blood and trigger inflammation and infection (x). HFCS can also harm your liver. In fact, it may be a leading cause of non-alcoholic fatty liver disease (NAFLD), which affects around 80 to 100 million people (x). Those with dietary fructose intolerance aren’t able to absorb fructose in their intestines and digestive tracts. The excess fructose then moves into the colon, where bacteria consume it. The bacteria then produce gases that make the intestines swell, which can cause cramping, bloating, gas and diarrhea. Although it’s not a serious condition, fructose intolerance can cause discomfort. While there’s no definitive cure for it, symptoms can be managed with a low-fructose diet. Getting fructose from fruits and vegetables has no adverse side effects. In fact, eating more fruits and vegetables can help prevent chronic diseases and benefit your overall health. High fructose corn syrup, however, can potentially harm your health, leading to weight gain, heart disease, and more. To protect your long-term health, stick to pure fructose from natural sources, like fruits and veggies.